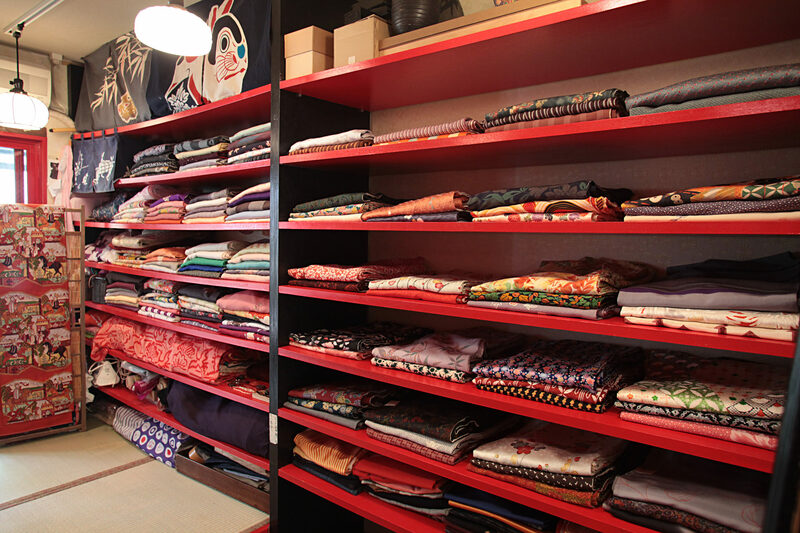 [Kien] is an antique kimono shop 1 minute from the south exit of Shimokitazawa station　on foot. The store interior has quite a retro atmosphere from the Showa era with the decorated accessories and the music playing. This shop offers a wide selection from Japanese accessories to original Japanese under garments in addition to kimonos and is popular with men and women of all ages. The brilliant and embroidered obi belts from the Taisho era and the beginning of the Showa era are charming. The owner, Ms. Odajima talks about wanting kimonos to become more of an everyday fashion in Japan. Looking at the numerous items brings an excitement just from selecting. You feel as if you want to wear the kimono on an everyday basis and not just for special occasions. Find your very own kimono along with your own way to wear it and enjoy the Japanese spirit without thinking too seriously.